It’s being reported that a passenger has gone overboard from Liberty of the Seas which is operated by Royal Caribbean. At the time the passenger went missing Liberty of the Seas which is one of the cruise lines largest class cruise ships was approximately 20 nautical miles from the Boot Key, Marathon, Florida. The vessel activated search procedures once it was known the 43-year-old was missing. The 154,400 gross ton ship was sailing a 4-night western Caribbean cruise that start from Fort Lauderdale, Florida. The ship has now returned to its home port after initially taking part in the search effort for the missing passenger. At the moment the united States Coast Guard is still searching the area in the Florida Keys. On Sunday, March 22, 2015, at approximately 9:14 p.m., a guest onboard Liberty of the Seas reported that another guest may have gone overboard. A review of the ship’s closed-circuit camera footage observed a 43-year-old male guest from the U.S. climbing over the railing and going overboard from deck 12. The location of the ship at the time the guest went overboard was marked on the ship’s Global Positioning System (GPS), and the ship, along with the Coast Guard, conducted a search for the missing guest. Early Monday morning, the ship was advised by the Coast Guard that they would be assuming control of the search and the ship resumed its journey to Port Everglades, Florida. Royal Caribbean’s Care Team is providing support to the guest’s family and our thoughts and prayers are with them. 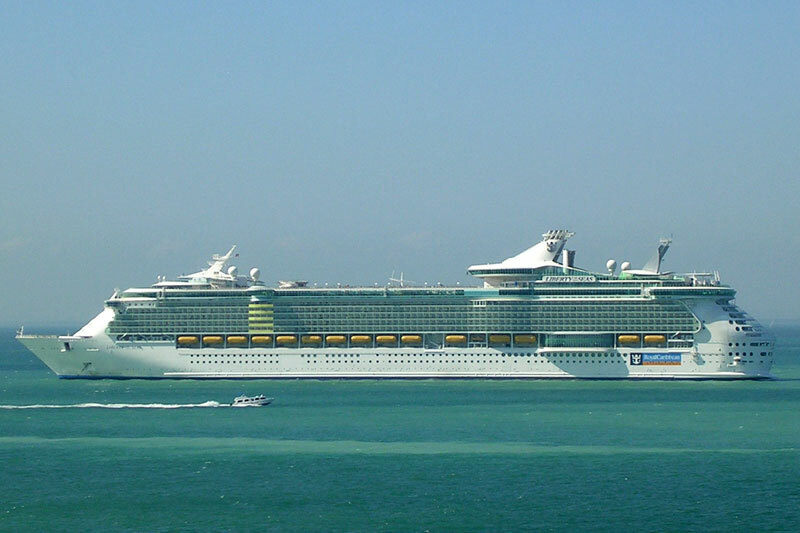 Liberty of the Seas sailed a four-night itinerary that departed Port Everglades, on March 19, made a port call to Cozumel, Mexico, on March 21, and returned to Port Everglades on March 23. Cruise Hive will keep readers informed on any new developments.